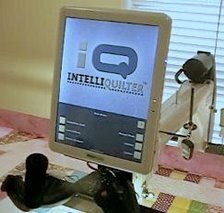 IntelliQuilter Training Videos: Simple Custom Quilting. iQ Project #1. Part 1.